Today we bring you the tenth and final installment of the World's Coolest Dude 1911-2011 list, which covers the years 2001-2011. Good afternoon, my Puddlers, today I bring you the FINAL installment of the World's Coolest Dude 1911-2011 list. It has been a great joy to share this huge, comprehensive and slightly insane list with you all and I hope you have enjoyed reading it. I know you may notice a slight bias towards the United States as the years passed, but you have to keep in mind that the entire world, with media and pop culture, became much more "United States centric" as the 20th century progressed. The World's Coolest Dude Committee tried to keep an objective eye out for all possible winners throughout the world. However, I am more than happy to listen to your complaints on behalf of the Committee. That's all I have to say for this week. We'll be back next week with more new content and a brand new year of Puddles. Take care, enjoy the New Year, don't feel self-conscious about your plans or lack of plans and if you are drinking a lot, make sure to drink plenty of water in between the champagne and the beer. Or, if you're like Erik Lilleby, just curl up with a large glass of coconut water. See you in 2012! The World Trade Center went down on September 11, 2001 and everyone was scared for the future of New York, the United States and the world. Rudy Giuliani was on his way out as mayor in 2001 and he took control of ground zero, so to speak, of the panic and showed that New York would not be shaken despite the damage and the casualties. He started the slow and painful process of building the city’s confidence back and he did it as perfectly as anyone could expect. Anyone else who was cool in 2001 was overshadowed by Rudy. The Strokes’ debut album Is This It? came out in 2001, but the true Strokes fever didn’t fully develop until 2002. I saw the Strokes and White Stripes at Radio City Music Hall in August of 2002 and the after show scene was the closest thing I can imagine to seeing the Beatles or Led Zeppelin in their prime. Everyone from the show just loitered on 52nd street while police and venue employees tried to push us along. We were all high or drunk and just looking up to the windows of the Radio City dressing rooms to see Julian and Albert Hammond Jr. poke their heads out. They were five friends who owned New York and the rock world. They were billed as having saved rock n’ roll. They were going to be the new Beatles: a band everyone loved but filtered through the grit of New York and the Velvet Underground. We all knew them individually: Fab (the one who dated Drew Barrymore), Nick (the one with the crazy hair), Albert, Nikolai and Julian, that lead singer with the long name who looked cool and sort of beat up. 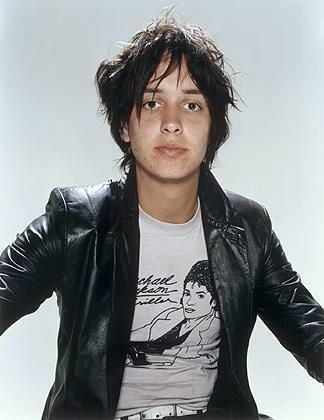 They all seemed to have a personality, but Julian was the lead singer and became iconic immediately because of his nonchalant atttiude, his slurring croon and his drunkenness. He was the posterboy of rock and being cool in 2002. There was no one else. 2003 gave us one of the hardest World’s Coolest Dude decisions ever. Jay-Z released The Black Album, which remains his best and most iconic album (I mean just think back to when it was released. We’re almost at the ten year anniversary. I was a freshman in college and the album was like the experience of one of the best athletes walking away with his best performance. It still sounds like cutting edge rap even now. Even Biggie and Tupac sounded like a different era completely in 2004). 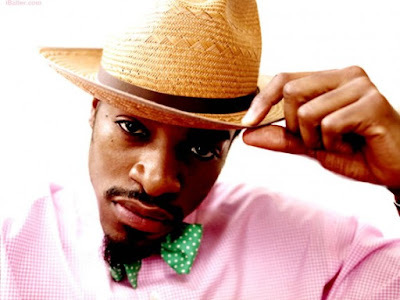 However, Outkast also released the sprawling/insane SpeakerBoxxx/The Love Below. And though time has maybe proven that SpeakerBoxxx was the more lasting album due to its consistency, at the time The Love Below was all that really mattered because of two words “Hey Ya.” It was one of the biggest singles that I can ever remember. It was played so much that you couldn’t do anything but make fun of it and even then you still couldn’t believe how damn good it was and how catchy it was. Then you add the fact that “Roses” is almost as great if not as great of a song as “Hey Ya;” how Andre 3000 pulled off the closest Prince impression anyone has ever pulled off at the same time he and Big Boi were pulling off the rap and R&B equivalent of White Album era Beatles; and you have to side with Andre as the World’s Coolest Dude in 2003. He was iconic. Just watch the “Hey Ya” video again. “What’s cooler than being cool?” Being the World’s Coolest Dude. Now, let’s take into account the tremendous amount of hype that surrounded Lebron even in his first year. He had done nothing, absolutely nothing, professionally to warrant the nickname “King James,” but we let him get away with it anyway. Why? Because look at him. He basically looks the same now as he did when he was eighteen (obviously he has put on muscle weight and added manly nuance to his physique, but you get the idea). In 2004 Lebron still had a world of potential in front of him before the overwhelming expectations mixed with his own missteps to create a very public, important and misunderstood “villain” in our society. In 2004, Lebron was on his way to becoming universally loved as a force of nature from Akron, Ohio who took pride in playing and Cleveland and was going to end the great city’s sports pain. There were no Yankees caps, Decisions or Dwyane Wade big brother allusions. World’s Coolest Dude? You’re damn right. Kanye had blown up after The College Dropout took the world by storm in 2003 and we were all waiting for the follow-up. 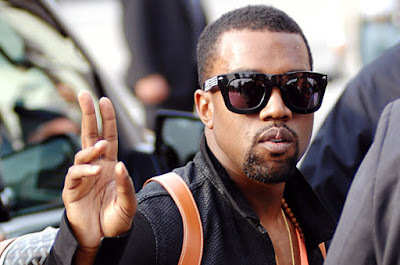 He had plenty of momentum behind him and Kanye delivered the goods with Late Registration. This is when he became a bona fide celebrity and you could utter his name in the same breath as Jay-Z. Late Registration is still Kanye’s best album and features two of my favorite tracks, “Diamonds from Sierra Leone” and “Gone.” In our rapid culture, its hard to forget how huge of a song “Gold Digger” was when it was released. Everyone listened to it and everyone loved it. This was the peak of Kanye’s fame before he made his Katrina remarks and then became both publicly overly-braggadocious and overly-sensitive. Although, his recent hot streak of My Beautiful Dark Twisted Fantasy and out-shining Jay-Z on Watch the Throne has put him in a very good position to make a run at the 2011 award. This is the toughest call on this entire list because by all accounts Dwyane Wade was probably the World’s Coolest Dude 2006. He was the go-to guy on the Miami Heat team that won the NBA Title and he had one of the Top 5 NBA Finals performances of all-time. In the 2006 Finals, Wade averaged 34.7 points, 7.8 rebounds, 3.8 assists, and 2.7 steals. Trailing the series 0 -2 and down 13 points in the fourth quarter of Game 3, he basically willed Miami back into the series with a comeback victory in Game 3. The Heat won the next three games and Wade made the Playoffs his personal proving ground. After that series, he was the best player in the NBA. His stats and flair for the dramatic and devastating were the closest thing world had and still has seen since Michael Jordan. However, in upstate New York, there was a young Filipino man by the name of Michael Antonio who was making wearing woman shorts and making bedroom pop the stuff of legend. The small liberal arts college had never seen someone like Michael Antonio before since making the school co-ed in the 1970’s. First of all, he graduated college. Second of all, he was perhaps the most visually influential student in the history of Skidmore. Influencing thousands of future generations of misguided artistic youths with his fashion sense, appreciation of the weird and attention to music. Michael Antonio lived in the radio station and he was the World’s Coolest Dude in 2006. Now we come to the awkward part. I’m just going to say that I killed it in 2007. I graduated college and had probably one of the best and most rewarding Senior Weeks in the history of American Academics. I was in love and felt it very deeply. I took one of the easiest jobs ever helping Thai students at a private school in New Hampshire and went swimming everyday. And many people would have said that I was probably the funniest non-professional comedian on the planet. Plus I was just destroying the New York Times crossword puzzle everyday, proving myself as a passionate soul-focused genius in my senior year classes, and I wrote a novel. Take that Salmon Rushdie! This one doesn’t need an explanation. You just had to watch television on Election Night to know how much the idea and possibility of “Barack Obama” meant to America that year and that night was the culmination. There were visions of young people flocking to Washington D.C. to change the world. That hasn’t happened en masse and perhaps Barack could never have been the Barack that we wanted or that he billed himself as, but that year there was the idea of “Barack Obama,” and that idea and Barack’s actual achievement made him the World’s Coolest Dude. 2009 was a weak year overall. The economy was in heavy shambles; the Madoff scandal was a hot news topic; and the backlash against Obama had already started. The major musical achievements of the year were boasted mainly by the holy triumverate of Brooklyn bands, Animal Collective, Dirty Projectors and Grizzly Bear. While those bands all helped cement the relevance of the “Brooklyn” scene, they were true group efforts with no discernable sole driving figure (though I would take arguments for Dave Longstreth even though it’s a longshot). In sports, you had a Yankees team that was not very memorable winning the World Series. The Lakers won the NBA Finals against the Magic in a so-so series. Federer had perhaps his last great “Federer” year, but it wasn’t anything worth acclaim. So, the award went to Skidmore alum Nick Kozmin. This man not only worked incredible hours and had a total disregard for the meaning or purpose of money, but he also tried to completely refurbish and old Greenpoint apartment by himself. In 2009, Nick Kozmin became the closest thing to a Russian mystic since the days of Gogol, Dostoyevsky and Tolstoy. Basically, in 2009, Nick Kozmin reached the true cosmic essence of himself, which was a mixture of Russian superstition and work ethic, an encyclopedic musical knowledge, high family values (albeit entertainingly absurd), endless empathy for others and the audacity to look the other way at logic and his own well being. In this modern society, that is the description of the World’s Coolest Dude. The reasoning behind why Louis CK was the World’s Coolest Dude 2010 was already explained in the Puddles of Myself 2010 Year End Awards column from last year, so we will be brief here. 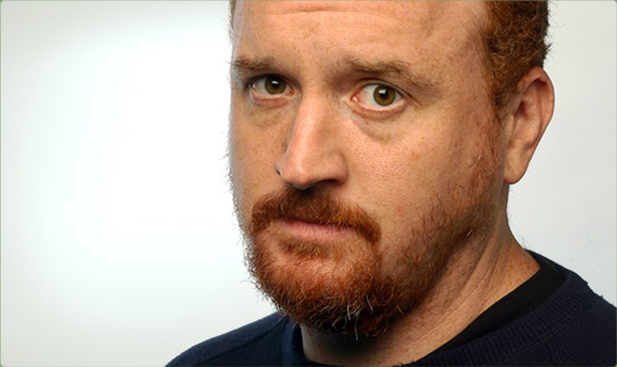 Louis CK’s show, Louie, on FX was a critical success and he was responsible for every facet of the show. Louis also released his comedy special Hilarious, which is the best of his comedy specials. With the acclaim of both his show and his comedy special mixed with the absurdity of his Twitter feed, Louis was openly regarded as the best comedian alive. When you add the fact that he maintained so much creative and professional respect while looking like your average man/loser, you couldn’t deny that Louis was the World’s Coolest Dude in 2010. The 2011 World’s Coolest Dude race was one of the tightest races in recent history. Djokovic came out of the gate strong with his amazing winning streak. 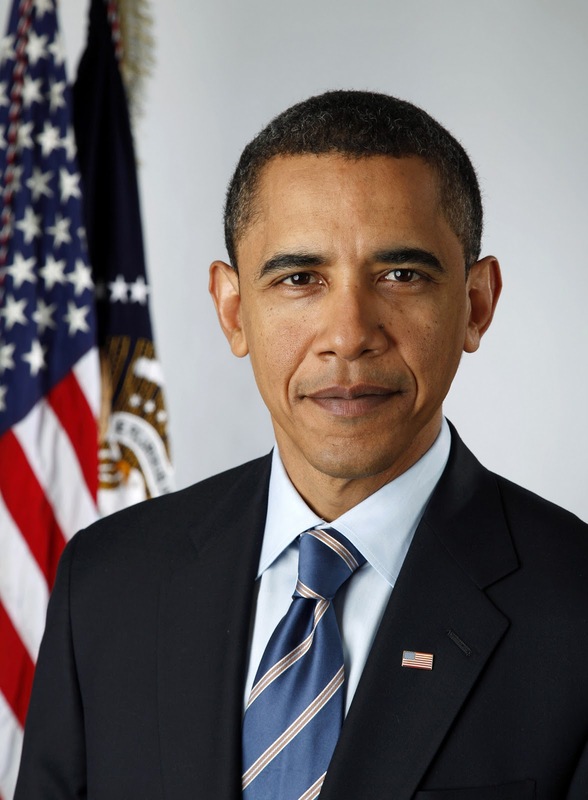 Then Barack Obama gave the order to kill Osama Bin Laden, propelling him into the lead. Then, Dirk Nowitzki put in one of the best NBA Playoffs performances of all-time, won a championship and had even casual NBA fans marvelling at his insane shooting ability. Kanye released My Beautiful Dark Twisted Fantasy at the end of 2010 and carried that momentum over to 2011 as he sett the bar for where rap could and should go and also suggested that perhaps we have reached the post-rap era. Then in 2011 he released Watch the Throne with Jay-Z and created perhaps the biggest blockbuster album in years, which made us thrill at high living and its accompanying music while also question ourselves and the deteriorating world around us. Djokovic continued his dominance through the summer and through the U.S. Open and completed perhaps the most dominant season in the history of men’s tennis. And then Drake made a late run with the release of Take Care, which furthered Kanye's musical thesis on My Beautiful Dark Twisted Fantasy that we have moved into a post-rap world, where being "hard" doesn't necessarily mean anything anymore, or rather, being hard and the rhythms of rap music no longer belong solely to that genre. Drake created a rap/modern R&B/indie rock infused album that not only sounds great, has fantastic hooks and songs, but also resonates on a variety of levels and emotional states. Drake is at times petty, jealous, bold, brave and mature and the album grows better with each successive listen. But in the end, it was Louis CK who kept coming. The second season of Louie put the show in contention as the best show on TV and was perhaps one of the best TV show seasons of all-time. The public’s opinion from Louis went from, “wow, he can do that?’ to “oh my God, he is a genius.” The range of emotions and tones that an episode of Louie runs is phenomenal and it manages to encompass the mundane in such a beautiful and true way that you just have to laugh—not because anything is comical or truly funny, but simply because it is. And that is what life is actually like. Louis CK basically redefined what a TV comedy could be in its second season. Then in September, he did small impromptu shows in Brooklyn in order to practice for his next comedy special at the Beacon theatre in November. After the Beacon Theater shows had passed, Louis announced that he was releasing the special on his website for $5.00. He encouraged people not to steal the special and to pay for it. His shrewd, very “of the moment” grass roots marketing campaign and honesty have caused the special to make over $700,000.00 dollars. And he is donating all of that revenue to charity. Like his show, Louis is doing creative things that are consumed by a large audience in his own way. He does this all and still manages to try his best to be a good father to his two daughters. Life is full of plenty of hang-ups, dead ends and all kinds of crap that gets in our way, but the two things that we can truly stive for as “dudes” is to be creative and do the things we truly believe in no matter what the cost and try to be the best to the people we love the most. For Louis, its making comedy his way and loving his daughters the best he can. For you? Who knows?